Ricoh Aficio's family of printers offer you a huge variety of standalone and networked printing and document solutions. These impressive Ricoh printers are powerful, reliable, quick performers with creative options that are sure to increase the productivity of your workgroup. 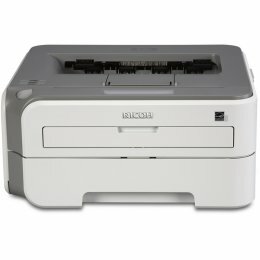 The Ricoh SP C820DN is a great color laser printer. The Ricoh SPC820-DN prints up to 40 ppm in both black and white and color. The Ricoh SPC820DN also features networking and a duplexer. The Ricoh SP-213SFNW Printer is a multi-function device with copy, print, scan and fax functions. 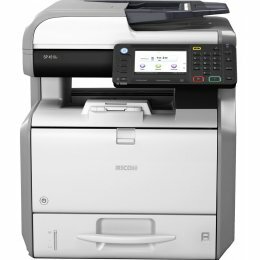 Features of the Ricoh Aficio SP 213SFNW Printer include a USB port, Wi-Fi connectivity, scan to email or folder and a media capacity of 150 sheets. 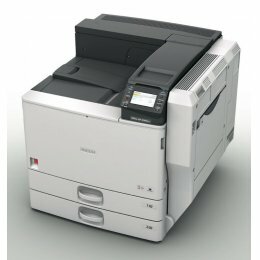 Print in black and white on a range of media sizes and types when using the Ricoh SP213SFNW MFP Printer. The Ricoh SP-213SNW is a compact and easy-to-use printer which prints at 22 pages per minute. The SP213SNW laser printer provides simple, convenient monochrome printing with cost efficient print cartridges for a wide range of applications and environments. The single function RicohSPC840DN will print at 45 pages per minute in black and white and color. It has a warm up time of only 22 seconds and a large duty cycle of 200000 prints per month. Use the Ricoh C840DN Printer to print on A3, A4, A5, A6, B4, B5 and B6 media sizes. The Ricoh 4510sf is a black and white, multi function printer small enough to sit on a desktop. With a resolution of 1200 x 1200 dpi and a speed of 42 pages per minute, you are guaranteed fast, crisp, quality prints. Share documents with the SP4510SF using scan-to-email, USB device or SD card. 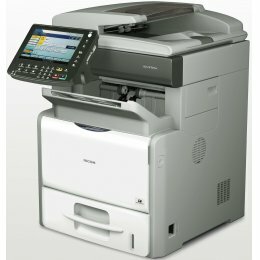 The Ricoh Aficio SP5200SHT is a multi-function device which will copy, print, scan and fax in black and white. Make use of a fast print speed of 47 pages per minute and a large monthly duty cycle of 20,0000 impressions. 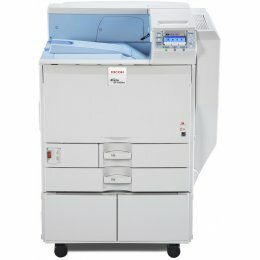 The Ricoh SP 5200SHT MFP is a compact Healthcare optimised printer. The Ricoh SP 5200SHW Printer is a multi-function Printer designed especially for healthcare environments. Features include printing on envelopes, labels and letterhead paper, as well as scan to email or folder and save to memory card or USB drive. 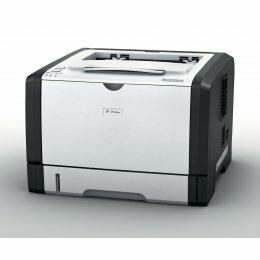 The Ricoh Aficio SP5200SHW Laser Printer will copy, print, scan and fax in black and white. 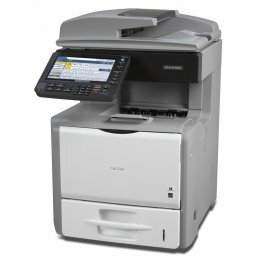 The Ricoh SP4510SFTE Printer is an all in one device that will copy, print, scan and fax in black and white. It includes a built-in locking tray to help protect pre-printed prescription forms, pre-printed checks and other regulated media from theft or unauthorized viewing. Conveniently print directly from a USB, memory card or from your mobile when using the Ricoh Aficio SP-4510SFTE MultiFunction. 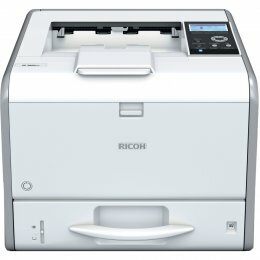 The Ricoh SP 5210SR is a black and white multifunction printer. 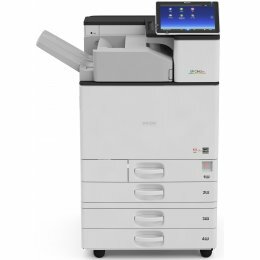 The SP-5210SR has excellent print speeds of up to 52 pages per minute. 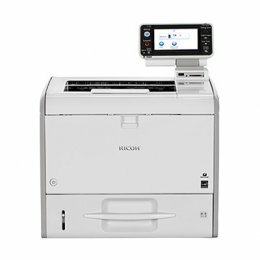 The Ricoh SP5210SR features automatic duplexing and easy-to-use scanning capabilities. The Ricoh SP-311SFNW is a compact, energy-efficient, monochrome printer which prints at 30 pages per minute. The SP311SFNW laser printer will keep costs low with its Energy Saver mode and an automatic duplex and wireless networking. The compact Ricoh SP-1210N network printer is designed to save you more than space. The SP1210N is an entry-level laser printer that offers exceptional media versatility and a host of innovative capabilities to enhance productivity and reduce total cost of ownership. With its small footprint and easy-to-use design, the 1210N laser printer provides simple, convenient monochrome printing for a wide range of applications and environments. The Ricoh SP-311DNW is a compact, energy-efficient, monochrome printer which prints at 28 pages per minute. 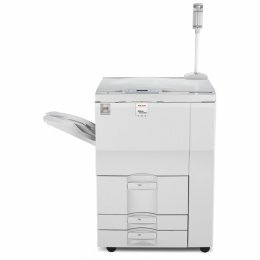 The SP311DNW laser printer will keep costs low with its Energy Saver mode and an automatic duplex. The Ricoh SP 8300DN provides a speedy, versatile printing solution for your large workgroup. Printing at speeds of up to 50 pages per minute, the network-ready Ricoh Aficio SP-8300DN will boost productivity, while giving high quality results. Enjoy standard duplexing, paper capacity of up to 4,400 sheets as well as professional finishing options on this Ricoh SP 8300DN Printer. The Ricoh SP 3600DN makes a big impact with just a small footprint. Sit it on your desktop and enjoy high-quality printing for a low cost per page. With a high print speed of 31 pages per minute and easy mobile printing, this compact printer will help your small office take big strides. 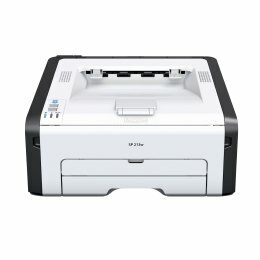 The Ricoh 4520DN is a black and white printer small enough to sit on your desktop with "big office" features. With super fast monochrome printing (42 pages per minute) and a high-quality resolution of 1200 x 1200 dpi you won't be sitting around waiting for prints. Use the 4.3” color touch panel as well as mobile print capabilities for efficient, quality printing. 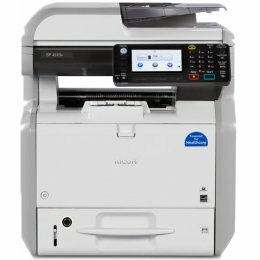 Use the SP5210SRG to print, copy, scan and fax in black and white on a variety of media types including envelopes, recycled paper, thick paper and labels. It includes a clear 8.5" LCD screen. With a warm up time of 20 seconds and a print speed of 52 pages per minute, your prints will be out in record time with the Ricoh-SP5210SRG. The Ricoh SP 9100DN will be your key high volume print solution. The SP-9100DN black and white printer combines high speed with outstanding reliability and exceptional document creation all at impressively low costs. With the Ricoh Aficio SP9100DN, you can manage even the most demanding print jobs in record time. Ricoh Printers are a great choice. From the small office to the centralized production environment, there is an affordable printer solution built to meet your growing needs perfectly.